As a sixties Aussie kid i grew up on a diet of fantastic American TV, our own tele/movie industry wasn’t what it is today. I have wonderful memories of ‘Flipper’, ‘Gilligans Island’, ‘The Jetsons’, Freddy Flintstone, ‘The Munsters’, ‘The Addams Family’, ‘McHales Navy’, ‘Batman’, ‘Hogans Heroes’, ‘Get Smart’ of course and ‘Bonanza’, all of which explains how i turned out i guess! ‘Bonanza’ was a Western the whole family sat down to watch, Dan Blocker the Genies owner played ‘Hoss Cartwright’ in the popular show which ran from 1959 to 1973, shite thats a long time! This publicity shot was taken on 3 February 1966 at ‘The Western Street’ set, Paramount Studios, Los Angeles. 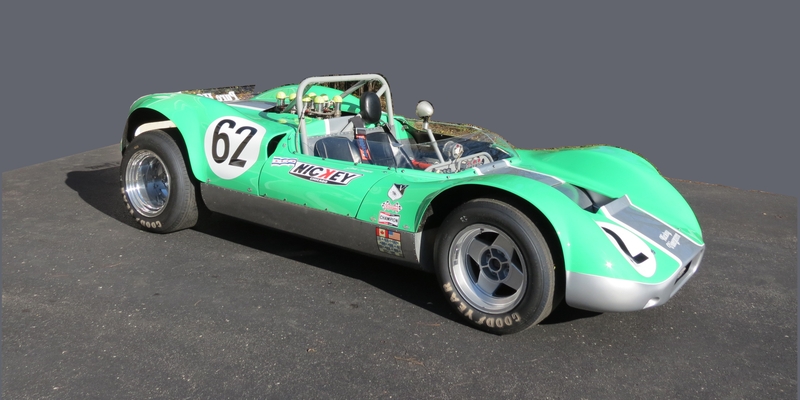 Blocker, a motor racing enthusiast acquired the car from Ray Huffaker its constructor, Nickey Chevrolet provided some sponsorship with British born Canadian ex-RAF pilot John Cannon engaged as the cars driver. Cannon contested the 1965 and 1966 USRRC seasons, he finished 2nd in the 1965 Nassau Tourist Trophy and won the USRRC race at Stardust Raceway, Las Vegas in April 1965. In 1966 John won the first USRRC round at Stardust on 24 April and retired at Riverside, Laguna and Bridghampton in May. 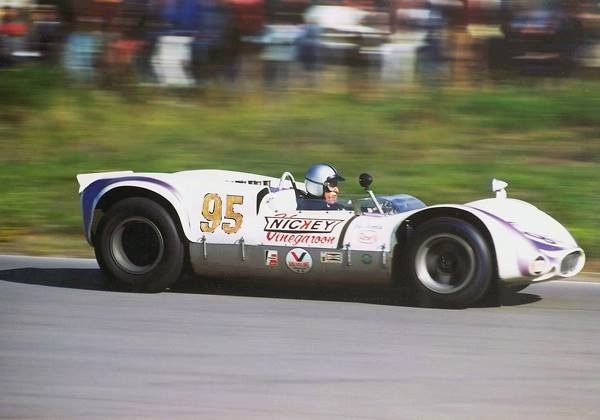 After another retirement due to an accident at Watkins Glen in June Cannon left the team and bought a McLaren-Elva Mk2 finishing 2nd at Kent on 31 July. 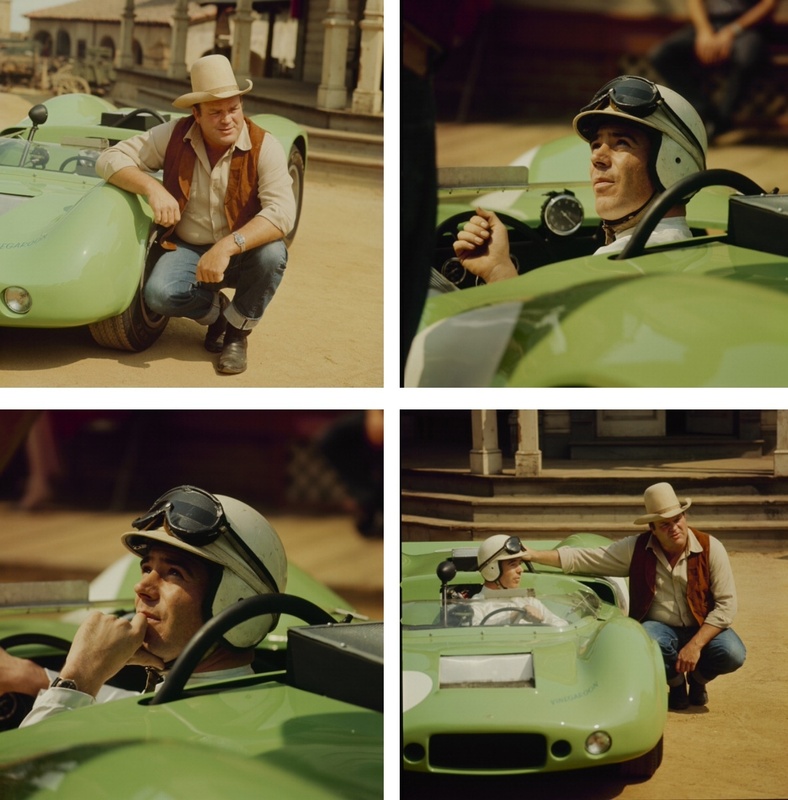 In the first, 1966, CanAm series, stunt driver Bob Harris took over the Genie. 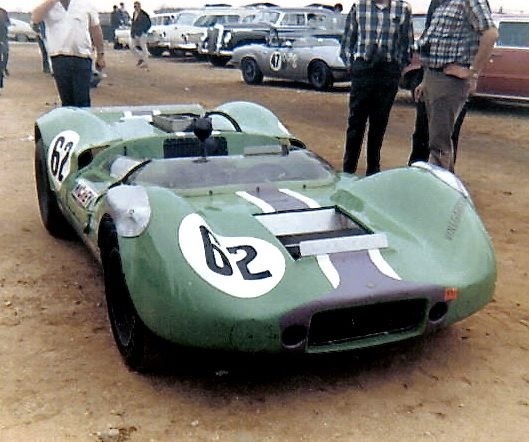 15th at St Jovite and 11th at Stardust his best results, the series won by John Surtees ‘works’ Lola T70 Chev. The Genie passed through various hands but is still extant and runs in historic racing owned by Tom Stephani, the son of Jack Stephani who co-owned Nicky Chevrolet, the Genie’s sponsor when Cannon raced it. Paul Stephani, Tom’s son picks up the story; ‘My grandfather owned Nickey Chevrolet in Chicago (with his brother Ed and sister Jean). 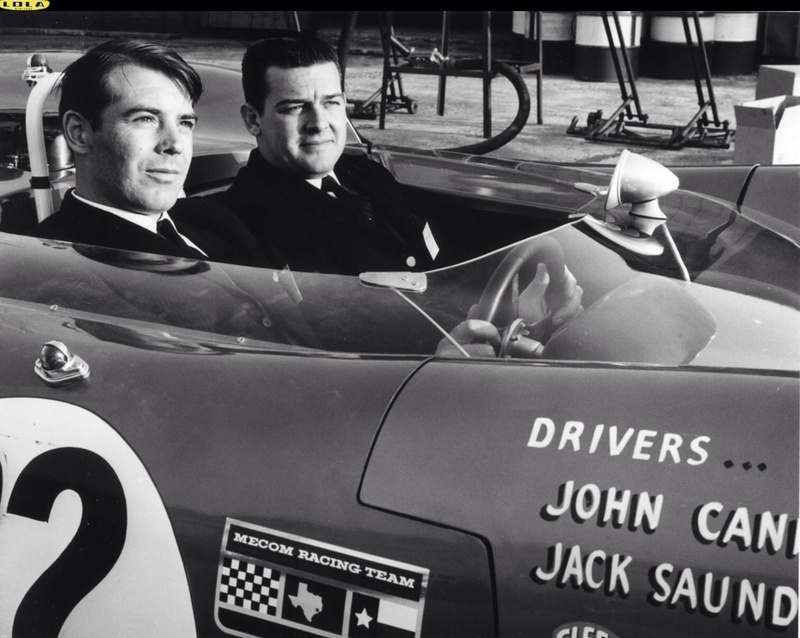 Jack was a big racing enthusiast and used Nickey as an excuse to go racing’. 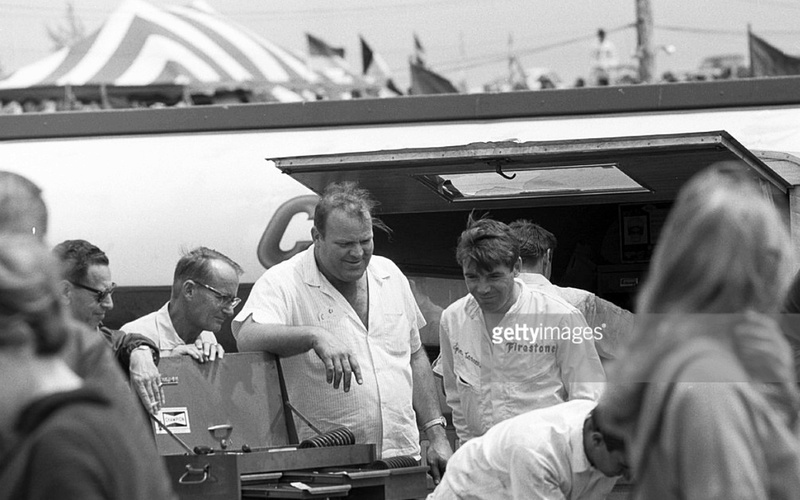 Joe Huffaker started building racing specials and Formula Junior’s. He switched to sportscars as the greater market opportunity became clear. 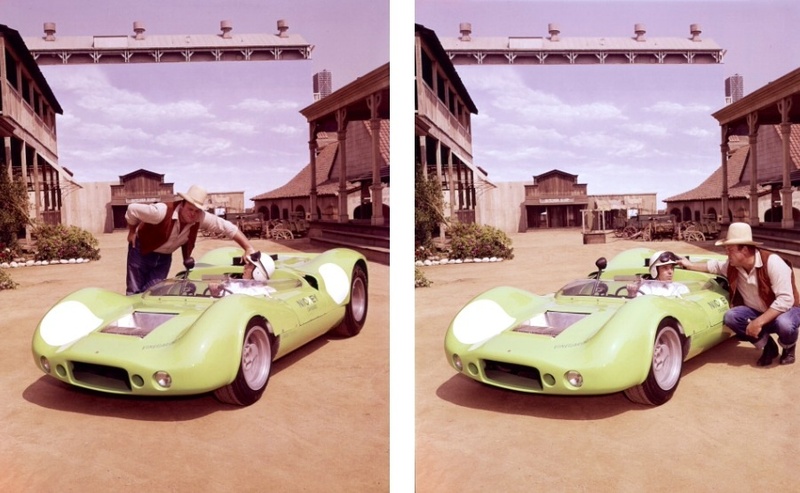 The first Genie Mk4 was a ‘G Modified’ car powered by a BMC 1100cc engine. The Genie Mk10 was an improvement on or evolution of his Mk8, his first ‘big-banger’ USRRC series car. It comprised a multi-tubular space-frame chassis, accommodated a range of American V8’s and utilised the ‘usual’ sixties suspension mix of wishbones and coil spring dampers at the front and inverted wishbone, single top link, coil spring/dampers and radius rods at the rear. Brakes were Dunlop calipers with outboard discs all round, the whole lot clad in a curvy fibreglass body. The Blocker Mk10B was powered by a Traco-Olds 300cid/5 litre engine fed by 4 48IDA Weber carbs, the transaxle was a BMCD unit. The teams Chief Mechanic was ex-F1 UDT/BRP guy John Harris who extensively modified the car during the winter of 1965/6, the car christened the ‘Vinegaroon’ from then. The Genie Mk10 retailed at around US$9500 winning a few races but was soon left behind by Chaparral, McLaren-Elva and Lola. Of Canadian nationality, but born in London on 21 June 1933, John Cannon initially raced a $750 Morgan at St Eugene in 1959. A Canadian newspaper report dates his emigration to Canada from the UK as 1957 so i am not sure that some earlier races in the US attributed to him in some sources are correct. 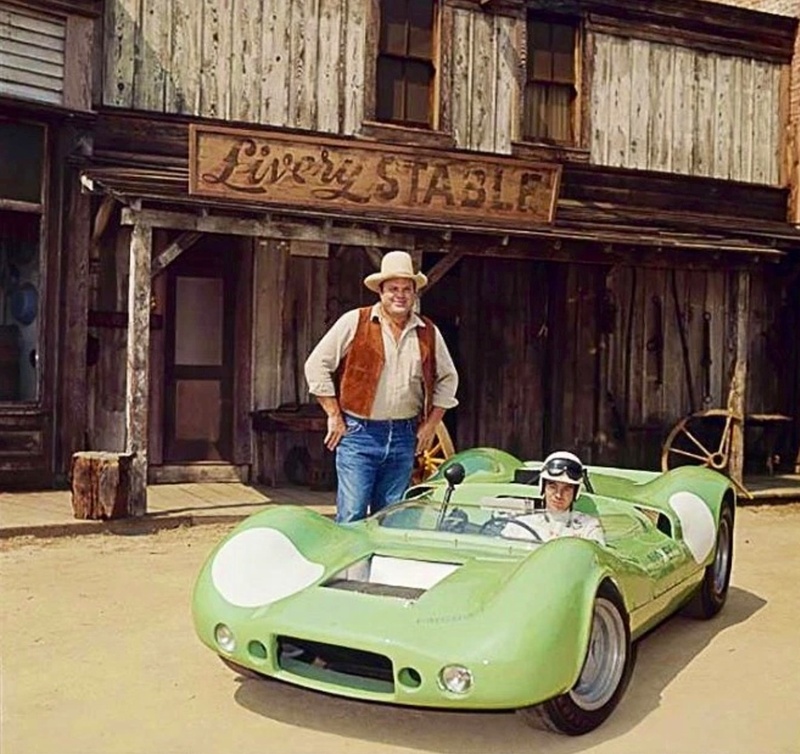 In any event he progressed with an Elva Courier in 1959, 1960 and into 1961. 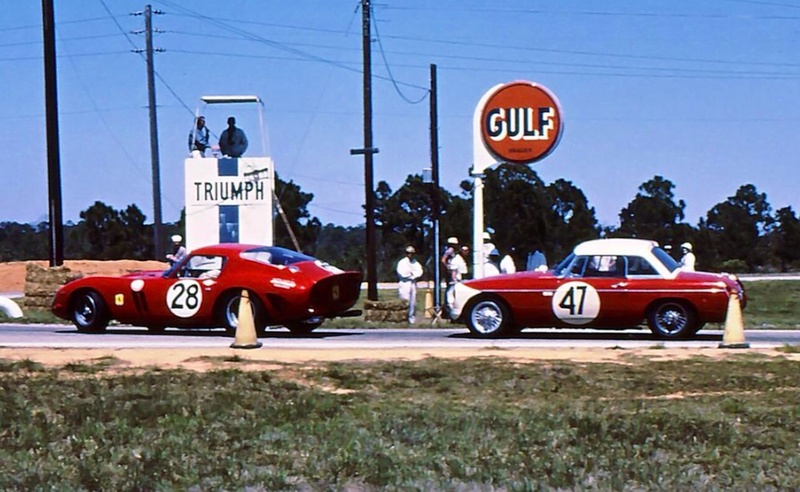 He also raced a Jag D Type and the Dailu Mk1, results in that car brought him to the attention of NART who teamed him with NASCAR star ‘Fireball Roberts’ in a Ferrari 250 GTO in the 1963 Daytona 3 Hour (15th) and Jo Bonnier at the Sebring 12 Hour (13th). 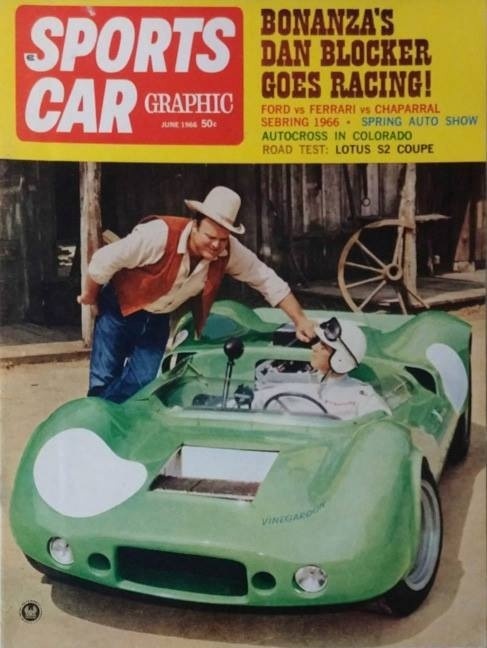 In later 1963/4 Cannon raced a great variety of cars, proving his versatility; Dailu Mk2/3, Lola Mk1, Comstock EXP, Fiat Abarth, Chev Corvette and Elvas Mk 3/7. 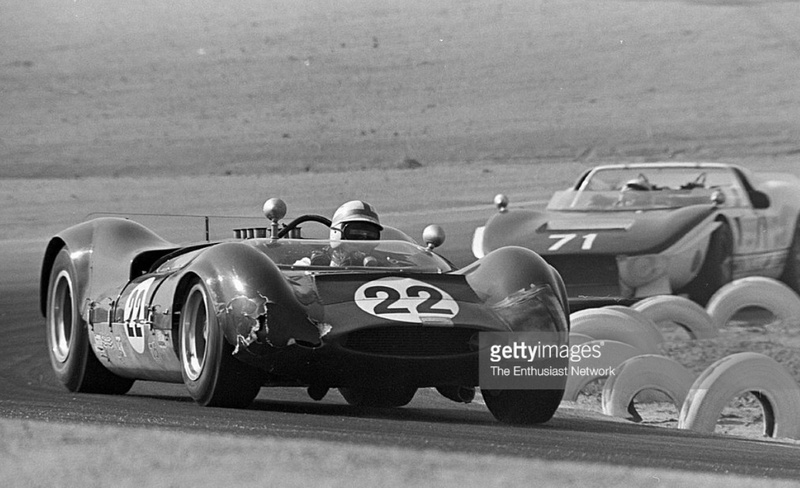 For John Mecom he raced the teams Lotus 19, Scarab Mk4/5 and Lola T70. He progressed through to the Blocker drive and then became a McLaren CanAm customer and ‘foot soldier’ as the McLaren website puts it! Mind you, whilst they claim him as ‘their own’ he raced many cars other than McLarens after 1965! He was never a member of the works team but his achievements both as a privateer and driving for independent teams earned him a worthy place in McLaren’s Top 50 (38th) drivers ranking. He took a superbly opportunistic victory in the rain-soaked Laguna Seca CanAm round in 1968 that pushed his career along. 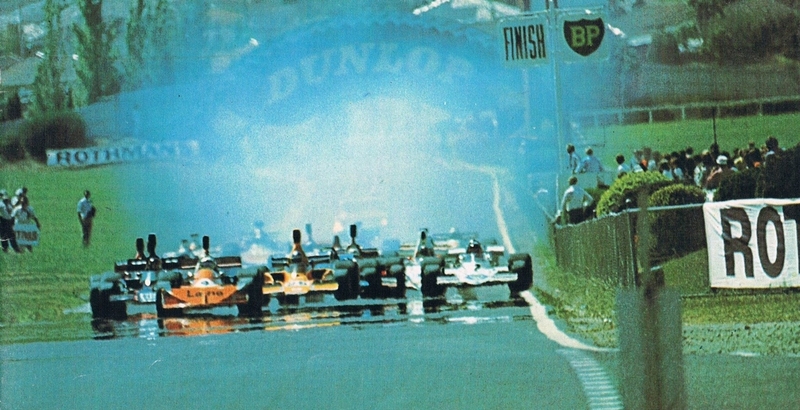 Driving an aged M1B Olds, Cannon kept his cool when others were slip-sliding in all directions, finishing ahead of the Denny Hulme’s works M8A at the chequered flag. 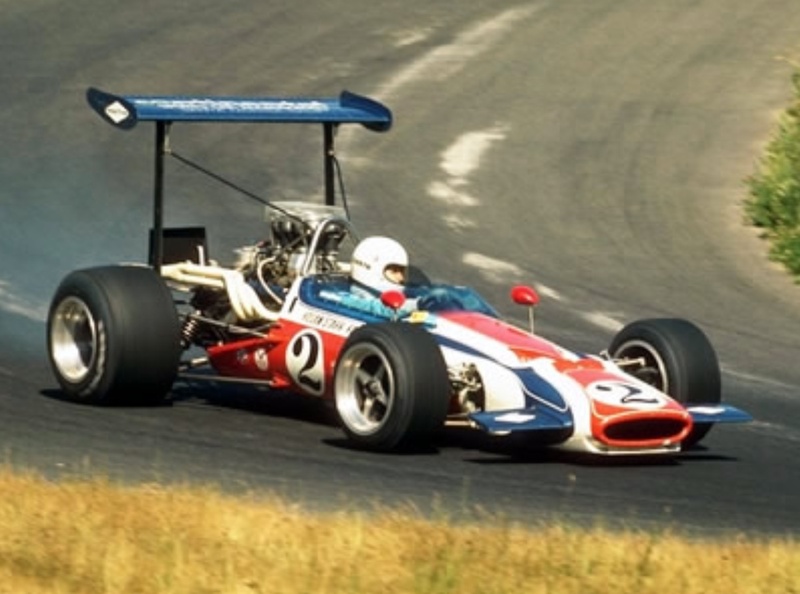 In 1969 and 70 he moved into single seaters as well as CanAm, he raced a Can Am McLaren M6B in ’68 and Ford G7 in 1969, contesting the prestigious L&M Continental F5000 series, winning it in 1970 driving a McLaren M10B Chev for St Louis trucking magnate Carl Hogan’s ‘Hogan-Starr’ operation. 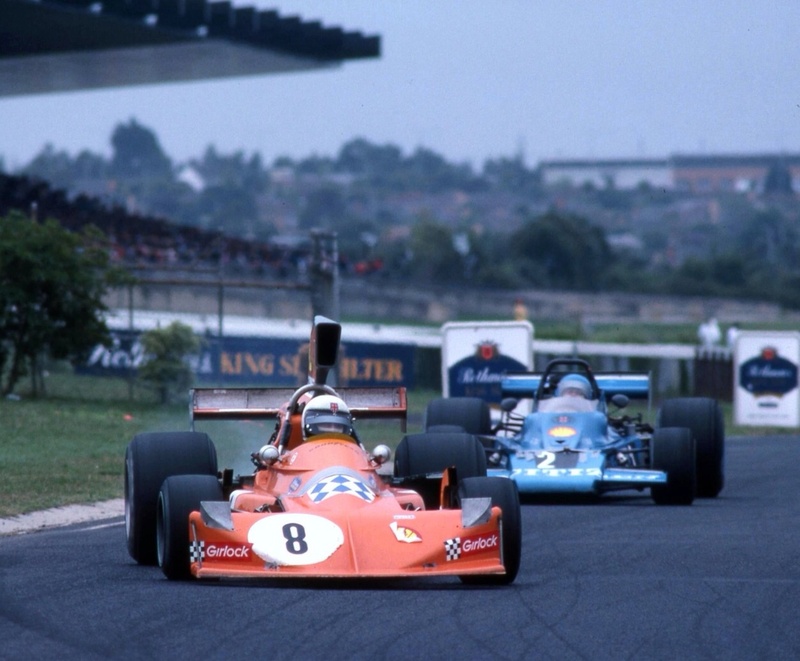 Cannon used this success as a springboard to establish his racing reputation in Europe, raising funds to rent a semi-works March 712M in the European F2 championship in which Ronnie Peterson, Carlos Reutemann and Francois Cevert were leading lights. 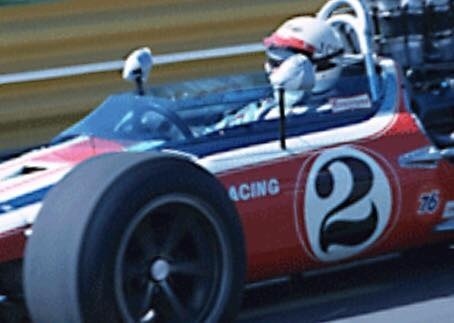 In this company Cannon performed very respectably, well enough to be invited to drive as a member of the five-car BRM squad in the ’71 US GP at Watkins Glen. He finished 14th in a P153. 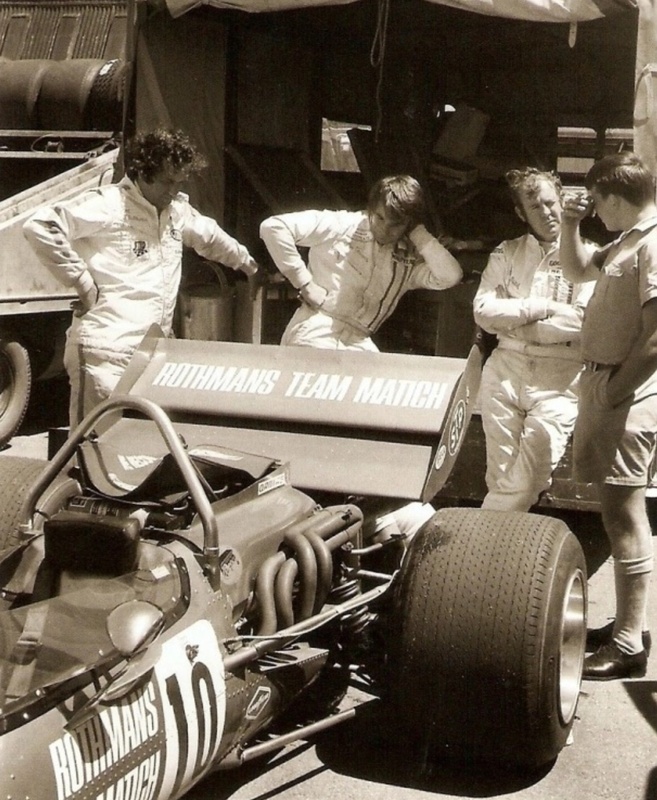 ‘After the 1970 F5000 season, my dad went down to do the Tasman Series. 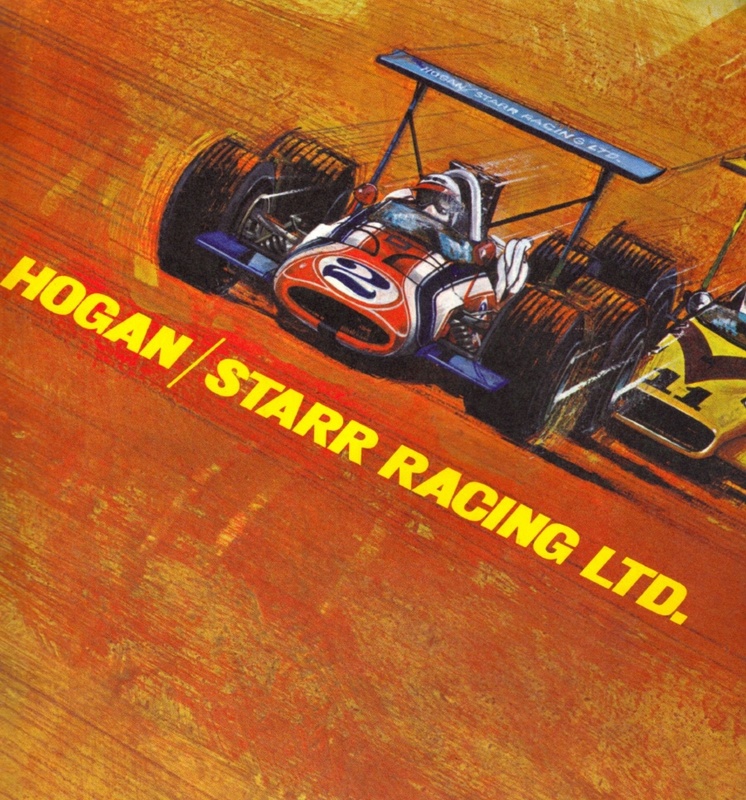 He already had an agreement with Carl Hogan to do the 1971 US series and wanted to stay sharp by racing the winter series. At Sandown, he crashed the McLaren M10B beyond repair and was offered Chris Amon’s Granatelli Lotus Cosworth F1 for the last round at Surfer’s. 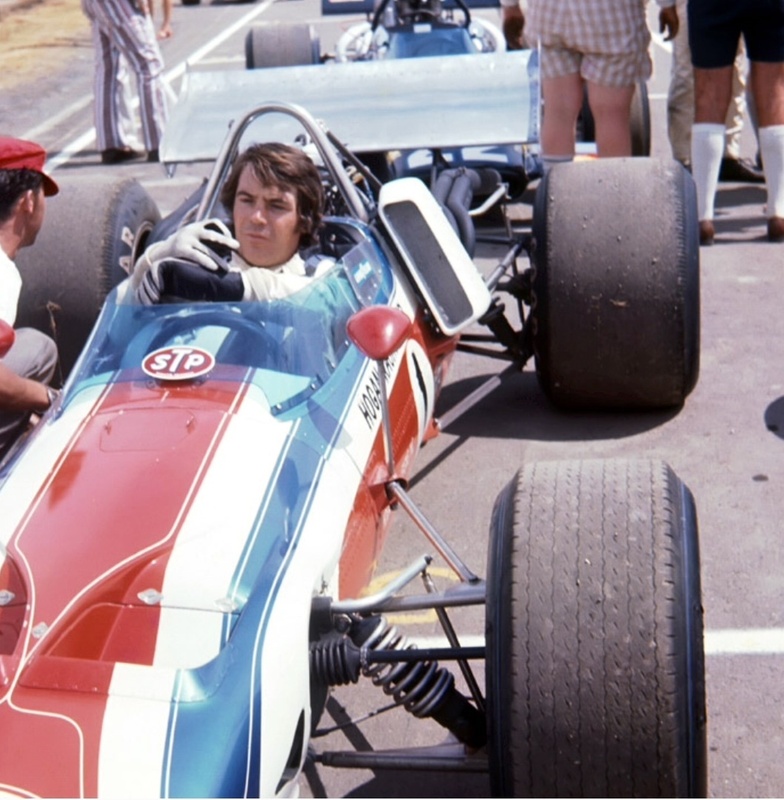 (in fact he raced a Granatelli F5000 Lotus 70 Ford at Surfers to 7th place but probably had a steer of an F1 March 701 raced mainly by Chris Amon during the series in practice somewhere, that car was powered by the ‘Tasman’ Ford Cosworth DFV variant, the 2.5 litre ‘DFW’ engine) Well this car was a total revelation for him – he loved the nimble handling of the F1 car and decided then and there that he would do everything possible to pursue a ride in F1. He was able to run an STP backed March F1 car at the Questor GP and this only whetted his appetite further. He broke off his agreement with Hogan (who was one of the nicest and fairest people you’d ever have wanted to meet by all accounts), grabbed every dollar he had and headed off to Europe to do F2. At the age of 38, he was a rookie in what was probably the most fiercely competitive series in the world! The early season stuff went fairly well as was able to buy what he called a ‘stonking great (Ford FVA F2) motor’ from Jackie Stewart. However, once that motor blew and money began to get tight, things got tougher. He effectively ran out of money late in the season and I don’t know that he even finished the series. That autumn, (1971) he did the USGP in the 5th BRM. 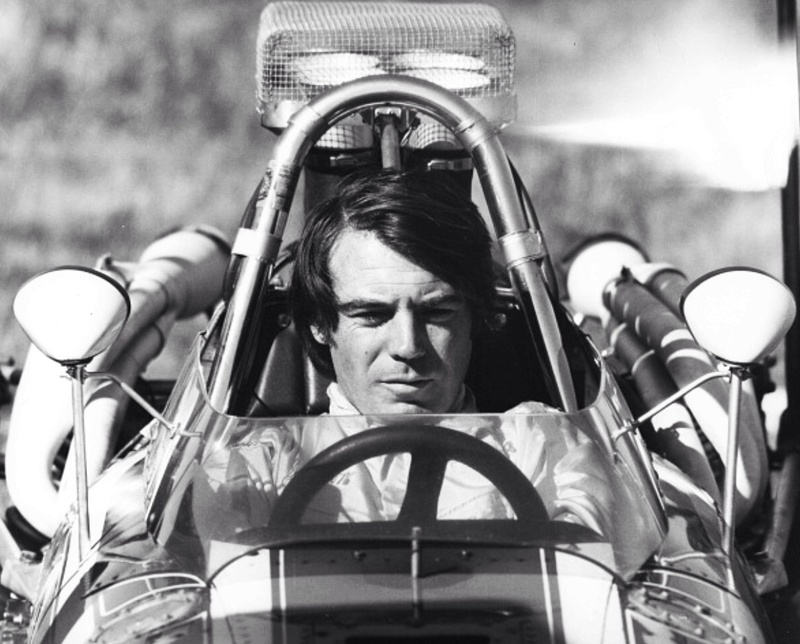 It was a bit of an old nail and the ‘qualifying engine’ was 500 rpm down from his practice motor… Anyway, he did finish the race and the team kept in touch, offering him a ride for 1972. He wouldn’t get paid but he would get a share the prize money. Now my dad had been earning his living as a driver for many years and thought this to be a ridiculous offer-if he wasn’t paid, he wasn’t going to do it. 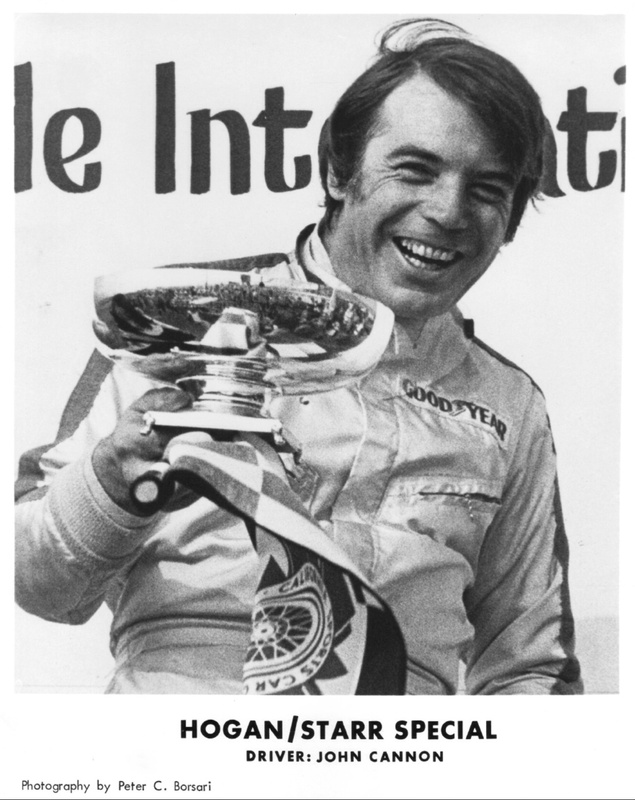 In a varied and long career Cannon also contested 15 USAC events between 1968 and 1974, his best result 2nd at Mont Tremblant in 1968. He had two ‘cracks’ at Indy in 1970/4, failing to make the cut on both occasions. 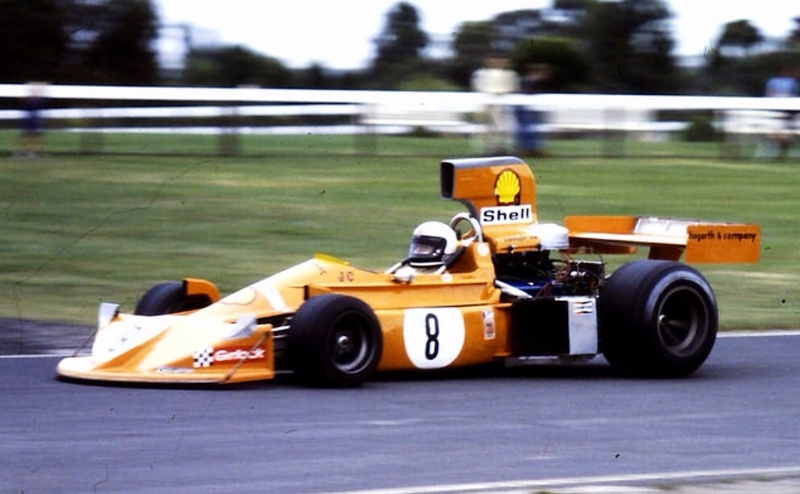 John Cannon was a popular, fast Tasman Series’ competitor; he contested the ’71 Tasman in NZ and Australia and the Rothmans F5000 International Series in Australia (The Kiwis went F Atlantic/Pacific from ’76) in 1976 and 1978. 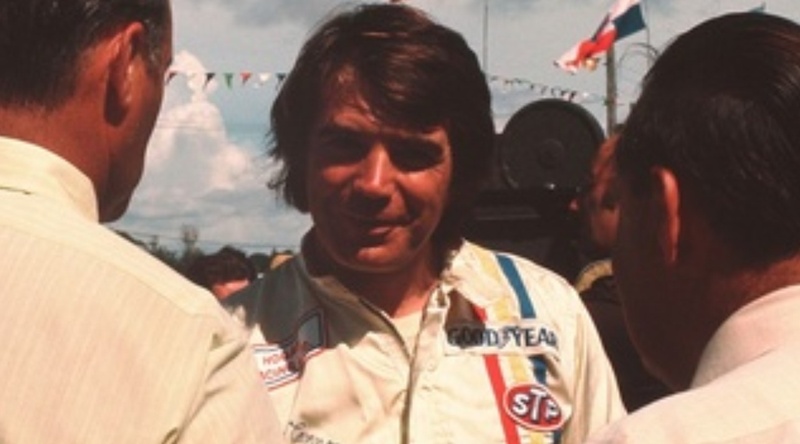 His 1978 Rothmans appearances were essentially his last races. He raced his Hogan-Starr US Championship winning McLaren M10B Chev in 1970 his best results two 5ths at Levin and the Pukekohe NZGP rounds. He retired at Wigram, Teretonga and didn’t start the Sandown round as noted above. At Warwick Farm he was 7th and in the Lotus 70 Ford, 7th again at Surfers Paradise. 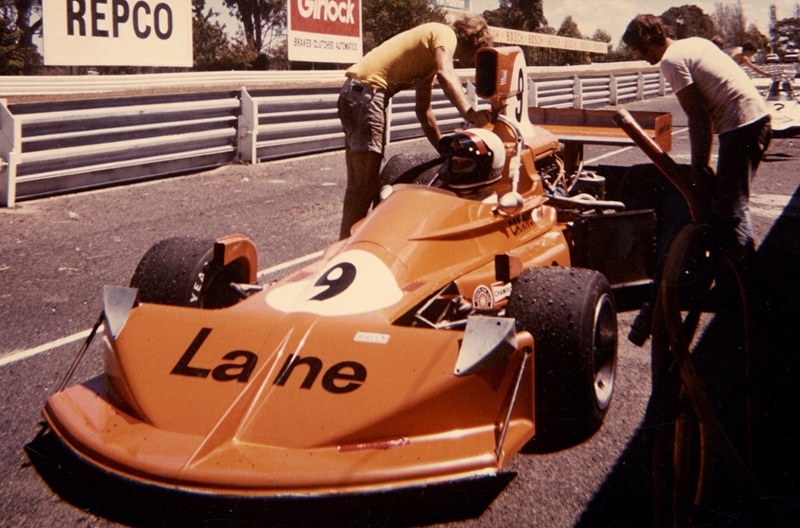 The Tasman was very strong in its early F5000 years, perhaps more so than the US Champion expected! In well developed McLaren M10B’s were Graham McRae, Frank Matich, Niel Allen and Teddy Pilette. Frank Gardner raced his works Lola T192, other top-drivers somewhat hamstrung by poor/under-powered equipment included Graeme Lawrence Ferrari Dino 246T, Kevin Bartlett Mildren Chev, Max Stewart Mildren Waggott. 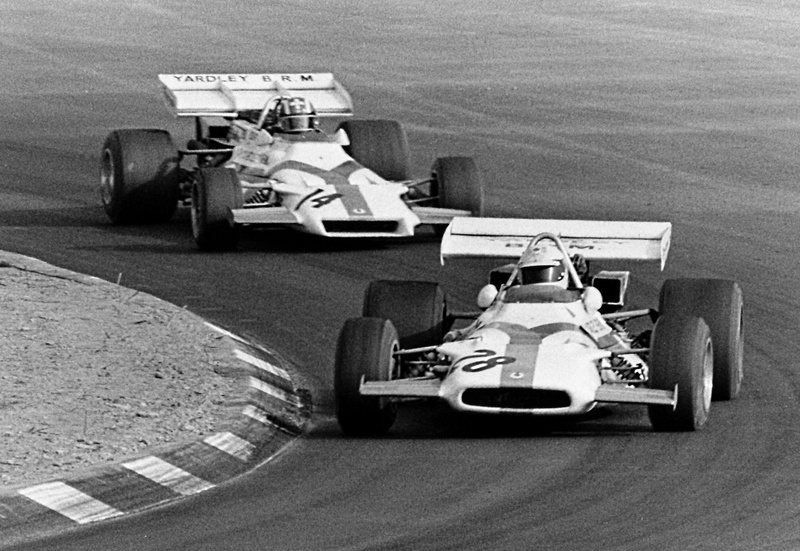 Especially Chris Amon, at the peak of his career, the STP March 701 DFW and Lotus 70 Ford were inferior amongst such tough competition. Graham McRae won the first of his Tasman Cups in 1971. 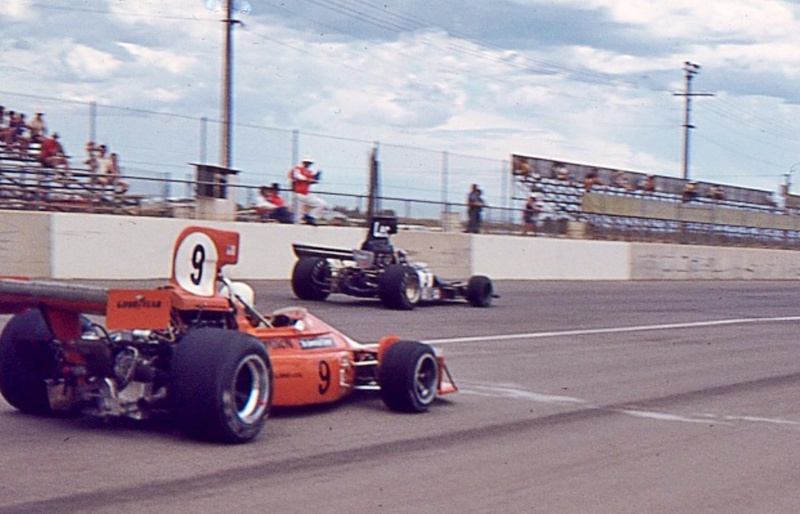 March were led into F5000 by John Cannon, notes Allen Brown on his definitive race history website oldracingcars.com. 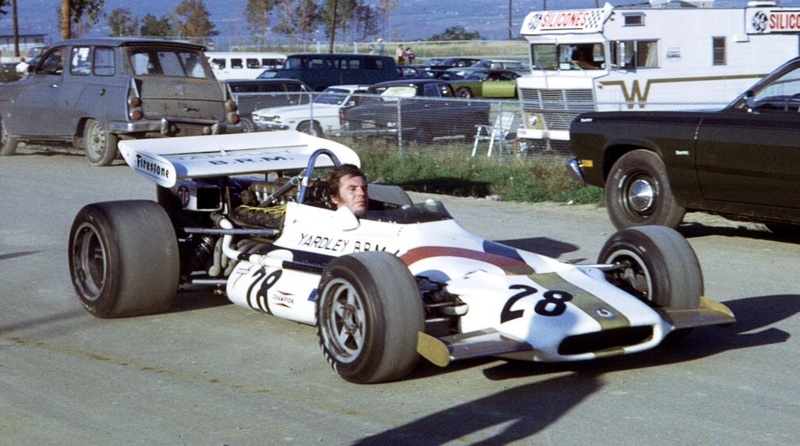 ‘Cannon won the 1970 F5000 US series before becoming a March customer in F2 in 1971. For 1972, Cannon ordered a new 722 F2 tub to be fitted with a Race Engine Services Oldsmobile V8 for F5000. The car was called the ‘725’. Brown; ‘Cannon missed the first four rounds of the UK championship but then took a surprise pole in his debut at Nivelles, Belgium the fifth round, some 1.3s ahead of McRae’s Leda/McRae. He was pushed back to fifth on the grid at Silverstone but qualified second at Mondello Park in 30 April, where he finished fifth. He then took the car to North America for the lucrative L&M championship where he took pole position at Watkins Glen in June but was let down by reliability problems. He returned to the UK in time for the race at Silverstone in early August where he finished second. He had time to rush back to the US for the Riverside race at the end of September before returning again to England for the last few races of the season’. The 725 never appears to have raced again but Cannons attraction to the marque was well established! 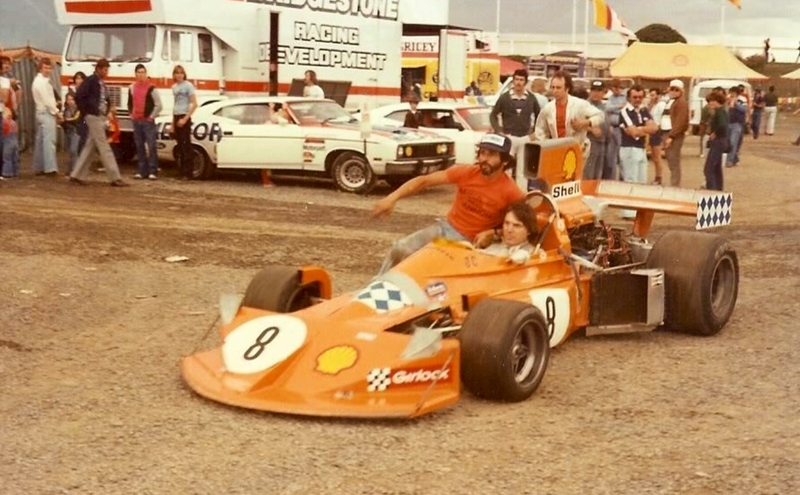 Cannon returned to Australia in 1976 with the car he had been racing in the US which was a blend of March 73A F5000 and March 751 F1 components. 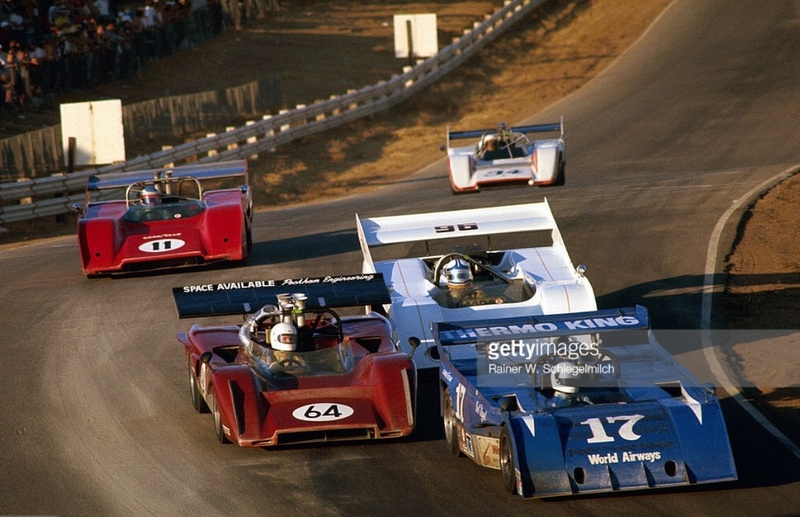 In the US the cars best results were a 4th and 8th at Riverside in 1975 and 1976 respectively.It was a great looking car and fast amongst the local highly developed Lola T332/400’s, Elfin MR8′ s and Matich’s. The series that year had depth, contestants included; David Purley, Vern Schuppan, Kiwis Graeme Lawrence and Ken Smith and Australians John Goss, Kevin Bartlett, Bruce Allison, John Leffler, Max Stewart and John McCormack. Schuppans Theodore Racing Lola T332 won the series. He took a fantastic Sandown win by less than a half a second from Vern Schuppans Theodore Racing Lola T332 Chev, i can clearly remember the cars airbox coming loose and hoping the ‘underdog’ wouldn’t be black-flagged in the last couple of exciting laps! In NSW he retired from the Oran Park round with electrical problems and was well back, 13th in Adelaide. At the end of the Rothmans he shipped the March to the UK and did several early rounds of the ’76 Shellsport F5000/F1/Libre Series without much success. In 1978 he returned to Australia with the same March to again contest the ‘Rothmans’, like so many of the F5000’s by that stage the March was getting a tad long in the tooth. 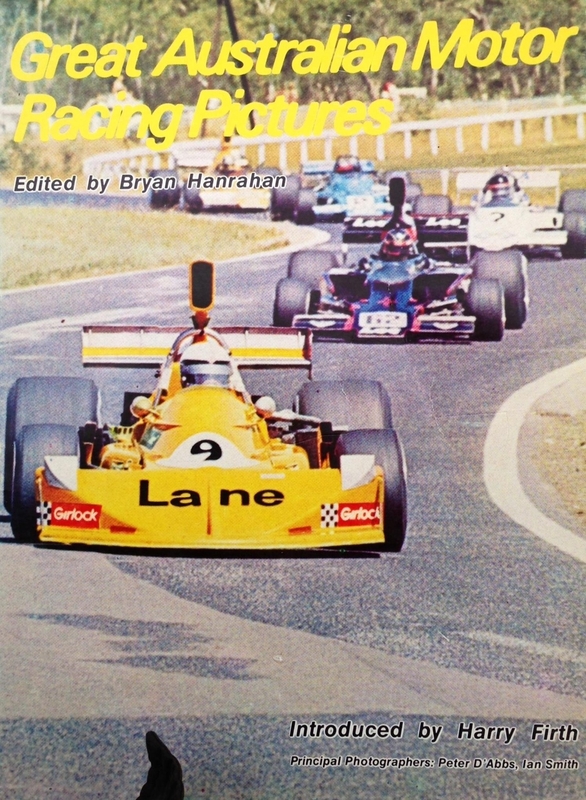 1978 contestants included Warwick Brown, Keith Holland, Derek Bell, Alfredo Costanzo, John Walker, Kevin Bartlett, Vern Schuppan, John Goss, Graham McRae and John McCormack. 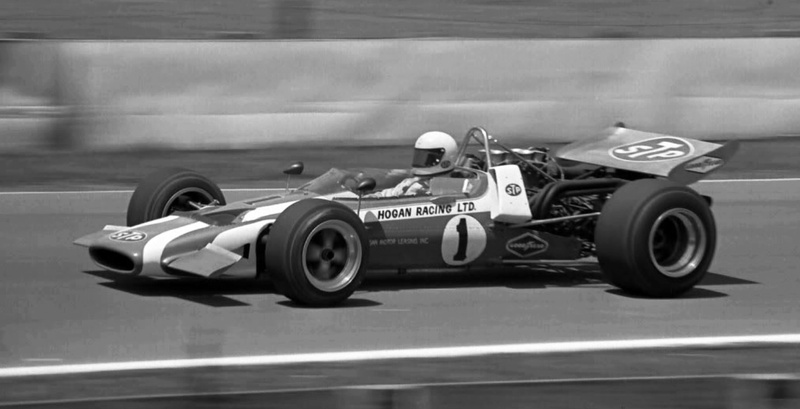 Brown took the series in his new VDS Racing Lola T333/332C. Cannon had a good run at Sandown again, 3rd in the race won by Warwick Brown’s Lola T333/332C Chev but had mechanical dramas elsewhere. Driveshaft flange/circlip problems in Adelaide and Surfers respectively and falling oil pressure in his Chevy engine at the final Oran Park round. John Cannon, then 45 ended his racing career and focussed on his businesss life which included an LA Ferrari distributorship. His son Michael who followed in his racing footsteps, has been one of the most respected race engineers in Indy Racing for over 15 years. Ever the ‘thrillseeker’ John very sadly died as a result of injuries sustained when he crashed an ultralite ‘plane in New Mexico on 18 October 1999.